British Airways has announced a new codeshare agreement, this time with airBaltic. It only covers one route, from London Gatwick to Riga in Latvia. I had a good trip to Riga a few years ago, and it is worth a visit if you have exhausted the usual Eastern European bucket list. Tickets are now on sale at ba.com for travel from September 23rd. Whilst you will be able to earn Avios and tier points flying on this route – if booked under the BA flight code – it seems unlikely that redemptions will be available. As always with codeshare flights, you should double-check the price on the airBaltic website before booking. You would lose your Avios but the price may be lower over there, depending on how successful each airline has been in selling their respective ticket allocation. In a separate bit of route news, BA franchisee SUN-AIR of Scandinavia is launching a Hamburg service from London City Airport. Unlike the official British Airways services from City, this will use a small Dornier 328 turboprop aircraft. Running only from Monday to Friday, there will a morning and evening flight in both directions. SUN-AIR also runs London City to Billund (for Legoland! 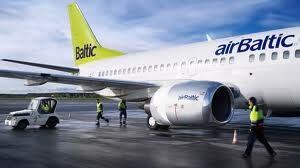 ), Manchester to Billund and Manchester to Gothenburg, all as franchised BA services. These are bookable at ba.com just like standard BA flights. Also take into account buying the BA fare may include a different baggage allowance than buying through airbaltic. airbaltic.com is a notoriously un-transparent site. Hate booking there. But even so, taking one 20kg bag each way comes in at c.£176 using the airbaltic fares compared to around £270 through BA. BA would need to be closer to £200 for me to book their codeshare. Nice little £94 per ticket there for BA doing sweet FA. They’ve really got London seen up nicely. I’m a firm believer, certainly on code shares, that at booking time the company your booking through should be forced to show you other farr’s from other companies operating the route your seeking to book. An example of BA exploiting its market position and the laziness of its customer base to make extortionate profits. I know that’s just business, and that ultimately the customer should wise up but it’s such a rediculous allocation of resources when they sell one of these overpriced tickets. Sun-air flights very good and worth supporting. All economy but catering is to CE standard (cold meal) and CE china ware. Sun air rarely sell cheap tickets, the focus is firmly business passengers.